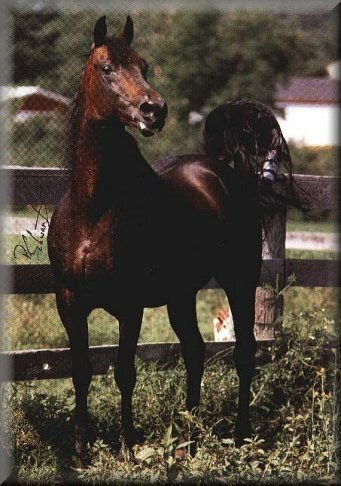 This 1992, bay mare by a World Champion son of Equinox Benn Adam, is beautiful to behold. 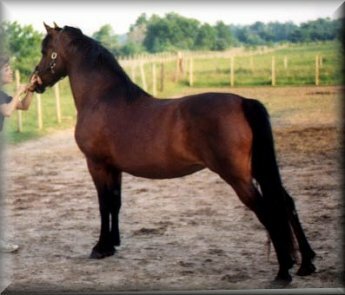 From her wonderful bloodlines, with four crosses to Waseeka's Nocturne, she gained her beautiful head and large eyes, her straight legs, level topline, laid-back shoulder, and upright neck. Danger is a typy mare, a very easy keeper. She is a real sweetheart, and loves humans, especially the children. However, she has the spark and energy Morgan lovers are thrilled by and is gorgeous to watch strut and prance. 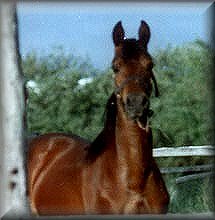 Shown as a young mare, she has never placed lower than 3rd in her In Hand halter classes. She throws her beauty and correct conformation to her offspring, as well as her wonderful disposition. 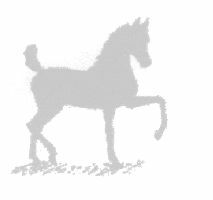 Danger has produced two outstanding foals for Ancan Morgans. Please see the link below to view them. She is due to foal in March, 2002 x Immortal Command. 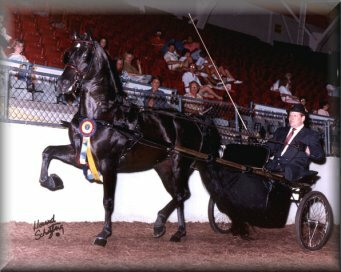 He is a multi-titled Pleasure Driving horse, and a World Champion Pleasure Driving horse, as well. One of my all time favorite Morgans!